I got so excited about this I screwed up the update twice. When times get tough, tough girls get rolling. At least that’s what Pamela Ribon says. The author of Going in Circles (which she affectionately refers to as Eat, Cry, Shove) extols the virtues of roller derby, why it worked better than therapy when her marriage ended and what she learned along the way. Read the article here. Hope you enjoy. Please forward, Tweet, Facebook, email and/or share it with your favorite roller girl. Possibly the Only Perk About Not Being Allowed to Play Roller Derby. I know. She put on latex gloves. Nobody else was wearing gloves. It was embarrassing. She thought I had some kind of foot condition. Did you tell her how you got those feet? And then strapped on those gloves. Yes. But look! Cute feet! Cute feet. Pam, I don’t even recognize those feet. Those look like someone else’s feet. Whose feet are those? You know, I’ve never seen you with cute feet. Yeah, I guess that’s true. Pun Masters! Help name a derby team. So, you’re the main reason I started playing derby. I’ve been following your blog for 10 years or whatever, and Going in Circles happened to coincide with a Derby league forming in my area. Fast forward almost two years later, and I was just named captain of a newly-forming fourth home team. Since you’re my derby inspiration and you gave your stamp of approval via Twitter to my derby name (Shevil Dead), I was hoping you would have some team name ideas. My colors will be black and gunmetal grey, and I want us to be dark and scary, to set us apart from the other teams. If you have any divine inspiration, I would greatly appreciate it!!! I’m partial to the LoCo Superstars, myself. Have at it in the comments, wonder killers. Saturday, July 9, was an evening of mixed blessings for the B.A.D. Girls. After a successful Championship event at the Craneway Pavilion on the Richmond Harbor, league members who were transporting the money raised from the event were robbed at gunpoint. Thankfully our league members were not injured. However the robbery was not only a shock to our community, but it took our entire financial reserve and profit for the event, totaling thousands of dollars that would have gone towards both future events and our practice venue. The B.ay A.rea D.erby Girls is a 501(c)(3) and has been entirely volunteer-run since inception. To be robbed of badly needed funds is devastating; to have our league members’ lives threatened is irreparable. Due to the ongoing investigation, we cannot release further details on the case but we have absolute confidence in the San Francisco Police Department to bring us justice. While the SFPD works on the investigation, the B.ay A.rea D.erby Girls are in dire need of fundraising. We have always depended on the kindness of our fans and our community. In this time of need, we are reaching out for your generosity once again. Like the strongest jammers, we do not fall after one hit, and we have no intention of allowing truly despicable scumbags who would steal from a non-profit organization to stop us from rolling. If you can please donate to the B.ay A.rea D.erby Girls to recoup some of these financial losses, we would greatly appreciate any amount. Your donation will be fully tax-deductible. 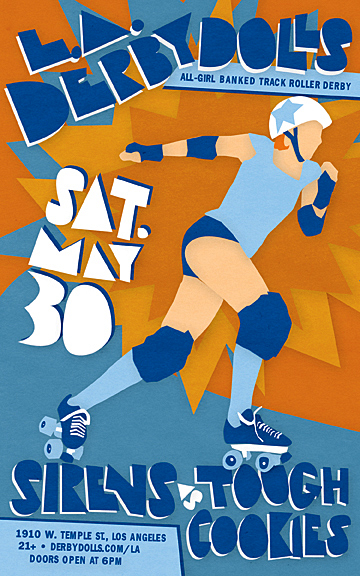 In addition, if you can donate items for us to raffle or venue space for us to hold a fundraiser, we promise to make it worth your while and continue to bring you the best roller derby in the Bay Area. Like the community that we all practice and play in, we are strong. We have always been a league of extraordinary women who are undaunted by obstacles. Roller derby is a sport that embraces challenges, enables resiliency, and celebrates the spirit of the best in humanity. We intend in honoring that spirit and moving forward from this crime toward a much brighter future with all of you. Thank you again for your support. It means more to us now than it ever has before. our home page. Your donation is tax deductible. so much derby, not enough skating.